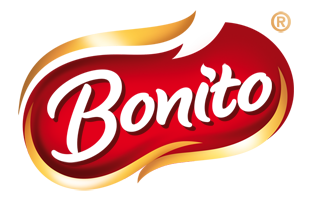 Tip Top Industry S.R.L, the company that helds BONITO brand, was launched in 1993 when our first bakery was opened in Bucharest. Our company helds one of the most modern factory from Romania having three production sections: backery, pastry and catering. We keep the tradition of the nearly 20 years of “special delicacies”, our company entered on the bakery market, in 2012 with a large frozen series of products under the BONITO brad, as a request of the market which is continuously increasing and our customers’ demand of frozen ready products. Indeed BONITO combines succssefully tradition with inovation offering to our customers old recipes to new times requests. Anyone can transform oneself into a refined baker using our ready BONITO products. Products safety and protection of the environement is our main goal. This is why we obtain the quality certificates to confirm our concern abaut respecting the highest standards. Our entire production and distribution line firmly/strctly respects the Europene Unions laws on bakery field. We apply the most exigent requirements in all the aspects by daily activities, the requirements imposed by international standards of ISO and IFS. We implemented a certificate and a series of management of safety and quality of the product as well as the protection of environement based on ISO 9001:2008, ISO 22000:2005, IFS FOOD and ISO 14001:2009, standards that guarantees our safety and high quality products.